I am passing this along for folks out there who are interested in teaching other anglers to become fly anglers or to cast better. Becoming a certified instructor is not about a label, it is not a merit badge or a title to hold above anyone. It is about learning how to teach good fundamental casting mechanics to a wide range of folks. To be an effective instructor you must learn to connect with adults, youth, able-body individuals, and folks with physical limitations. The casting certification program supplies the candidate instructor with tools (techniques and teaching methods) that make it easier for students to find success. I have had the pleasure of knowing Gary Kell for several years and it always puts a smile on my face to see him again. Gary is deeply knowledgeable of casting and teaching techniques. His supportive and clear instruction have helped me to identify flaws and improve my own casting mechanics. His instructor courses and lessons have helped me to better connect with my students and clients. If you are interested in becoming an instructor check out this great opportunity! DO YOU ENJOY PASSING THIS GREAT SPORT OF FLY FISHING ONTO OTHERS? This clinic is focused on making you a better caster and a better instructor!! Starting this July, in Warren, I’ll be offering a clinic for folks that would like to become a better casters and instructors as well as those that would like to work toward being a Fly Fisher’s International (FFI) Certified Casting Instructor (CCI). Fly Fishers International(FFI) has a casting certification program that focuses on producing high quality fly casting instructors. Check out the FFI web site for more detailed information on the Casting Certification program. The clinic is informal, meeting once a week for at least 8 weeks starting July 12th through mid September. There will be a minimal cost to register. You must also be a member of FFI. 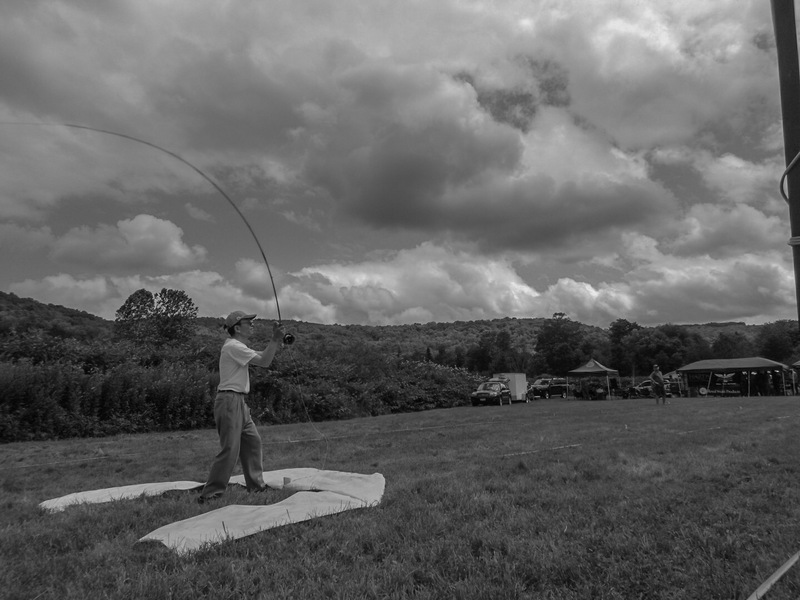 The FFI program is not about hero casting or just a good ole boy’s club… it is a rigorous program that is 50% learning casting mechanics, casting principles, various styles of casting and developing a precisely controlled teaching cast. The other half is about teaching methodologies, learning methodologies, lesson planning, casting analysis, error correction, and absorbing casting/fishing/teaching tips, and techniques. When you are ready, certification testing includes a performance exam, written exam and a workshop at another location by other qualified master level instructors. No matter how long you have been fishing it takes, on average, two or more years to prepare for the entry level certification. 2018 Instructor & FFI Casting Certification Preparation Clinic…. The first session is free —if you should decide to continue, cost is $125 up front or $20 per night. And you need to be a member of Fly Fishers International (FFI). We will start by concentrating on performance & casting mechanics and end with more on teaching. During class we will also learn and practice more fishing casts and making better presentations. demo a very efficient, effortless, beautiful cast.